Cornwall is – by far – one of the best family friendly destinations in the UK; from miles of golden Cornish sands waiting to be explored to fabulous gardens and world famous family attractions…read on to discover more great reasons to bring your family to Cornwall in 2018. Gwithian Academy of Surfing, Gwithian – Gwithian is a beautiful place to learn to surf and is perfect for beginners offering waves that break all year round due to the gently sloping nature of the beach. The Academy offers individual or group lessons, with a variety of courses to try out. Dan Joel Surf School, Mullion – The south coast provides a different, often calmer type of surf and where better to learn to surf with your family than the wonderful Poldhu Beach in Mullion. Dan Joel is a champion surfer and offers a range of surf lesson formats. The Minack is a unique theatre perched high on the cliffs above the Atlantic ocean, where a full programme of drama, musicals and opera is put on, together with music, comedy and story-telling. Where better to enjoy watching the acting out of classic Cornish tales with the family than the great outdoors, with unbeatable sea views. Part of the reason that Cornwall is ideal for families is that there is plenty to do whether it rains or shines. 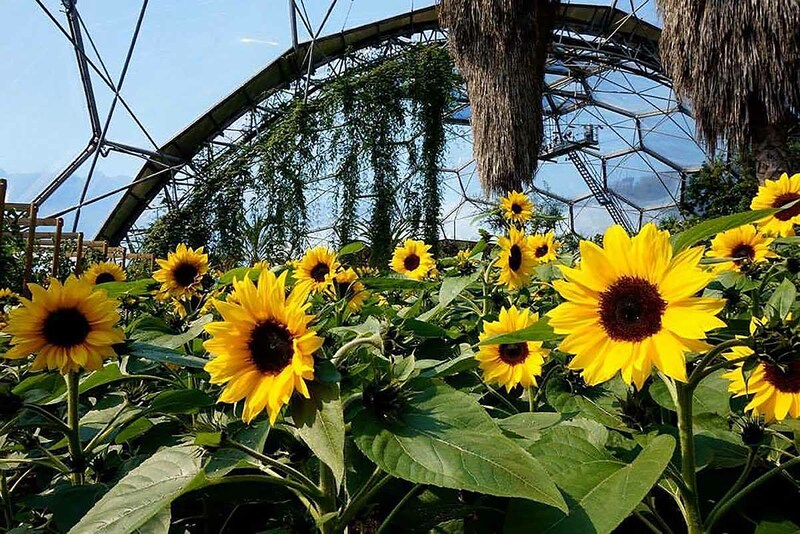 The Eden Project has become a place to discover a wealth of plants and natural wonder, and is open all year round (apart from Christmas Day and several dates in January, when it is closed for staff training – check the website for further details on opening times and to book tickets.). For those little ones who love a train why not try the Bodmin and Wenford Railway where you and your family can relax in style and enjoy a leisurely 13 mile round trip through beautiful countryside, taking in the sights, sound and smells of a bygone age. Heartlands in the heart of Cornwall is free to enter, and is the place for young families to get their first fill of Cornish heritage with the interactive exhibition which masterfully combines education with fun in a tale of all things mining. Head to Marazion near Penzance where you will find the dramatic St Michael’s Mount; a National Trust attraction. Cross the causeway to the sea-encircled castle, once home to a legendary giant who was lured to his death by a brave local boy. Children love to hunt for the giant’s stone heart etched in the pathway, follow clues to the castle turrets and stand in the firing line of bygone battles. The climb to the castle is too steep for buggies, but hipster seats are available (free) or you can take in the island vibe from the 18th-century village and seafront cafe. Whether it’s creating works of art from seaweed and driftwood, building your very own sandy empire or delving into rockpools to discover what lurks beneath, a day at the beach offers 101 possibilities. Beach rounders, wave jumping, stone skimming, tide races, shell seeking…the list goes on, and on, and on. Make a beeline for one of Cornwall’s Blue Flag beaches – Porthmeor, Porthminster, Gyllyngvase, Porthtowan or Polzeath – for the ultimate in safety! Best of all, a day out on the beach won’t cost you the earth/sand! With several perfect properties to accommodate families of all sizes there’s no excuse, book your 2018 holiday today and start planning for an unforgettable family holiday.